Good insulation plays a big part in regulating the temperature in passive house design. to prevent heat from being collected and transferred into your home during the summer. The kinds of things that will affect how well your home either absorbs heat or keeps it out at different times of the year include where the building's placed and how it's orientated, natural shading, eaves and windows, and the sorts of materials that your home's built from. Insulation normally plays a vital part in good passive design; by being able to isolate the temperature on one side of the building element, you can ensure that the heat regulated by your building design will stay where it should. Factoring in insulation very early on in the design will make it easier to plan. Adding extra thicknesses or a reflective barrier where necessary can make all the difference to the final performance. Note: Reflective barriers will always require at least a 20mm air gap adjacent to the reflective side to be effective in slowing the transfer of heat. 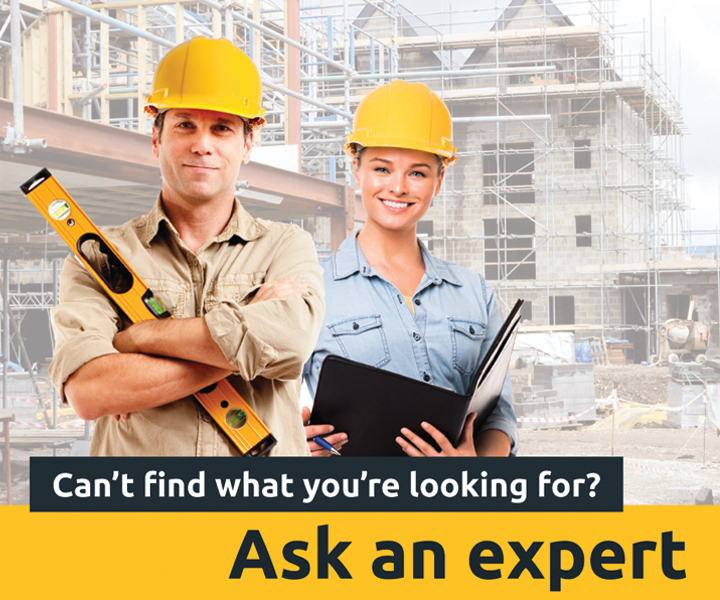 Where is insulation needed for passive design? Ideally, all parts of the thermal envelope should be insulated; walls, ceiling and floor. The walls and ceiling should have a robust combination of reflective and bulk insulation to keep any heat where you need it to be. The floor can be insulated in a number of ways, depending on the type of subfloor you have; stumps and joist frames can have insulation applied directly underneath, while an elevated concrete slab may need thermal insulation set into it when it's poured to stop heat leakage. Thermal mass, commonly a problem in design, can actually be turned into an advantage if it's placed strategically and insulated correctly. This is not something many designers will necessarily plan for, but sensible use of thermal mass can be achieved very effectively through computer modelling. Being able to control air flow through your thermal envelope can seem counterintuitive to keeping it sealed, but you also need to think about air quality in design - in fact, the law requires it. Ventilation is also a very effective way to cool internal thermal mass in your building during the night time. Your house plan should account for the way the air will flow through your home. This will enhance the effectiveness of the ventilation in taking heat out of your walls and floors, when you close up your building the insulation will trap the cool air in, helping to maintain the right temperatures the following day. Without careful insulation, the wrong use of ventilation will quickly disperse heat in the winter. 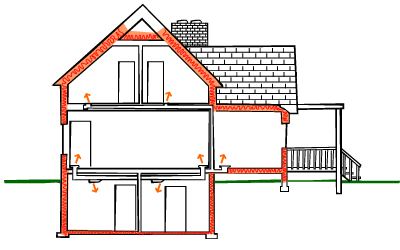 One clever compromise in houses with a tight thermal envelope is an HRV (heat recovery ventilator). These devices cycle air through the home, while also transferring much of the heat from the outgoing air into the fresh air being pumped into the house.